Excellent technical and cutaway artist worked both for The Motor and The Autocar. His book detailed below is a super insight into the methods of drawing cutaways and is essential reading for anybody interested in the topic. 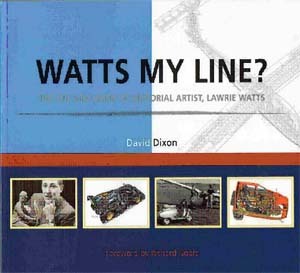 Watts My Line by Watts and Dixon published by Redline Books 2006.